Work has been tough lately. I have been putting in long days at the office for as long as I can remember with no foreseeable end in sight. Not only is this tiring but its draining in every way conceivable. Its times like these that a little stress relief is in order, so when my co-worker jokingly suggested a quick fish after work tonight I decided to take it seriously and jumped at the chance. Enough of the late nights at the office, I decided a break was in order (not to mention well deserved). 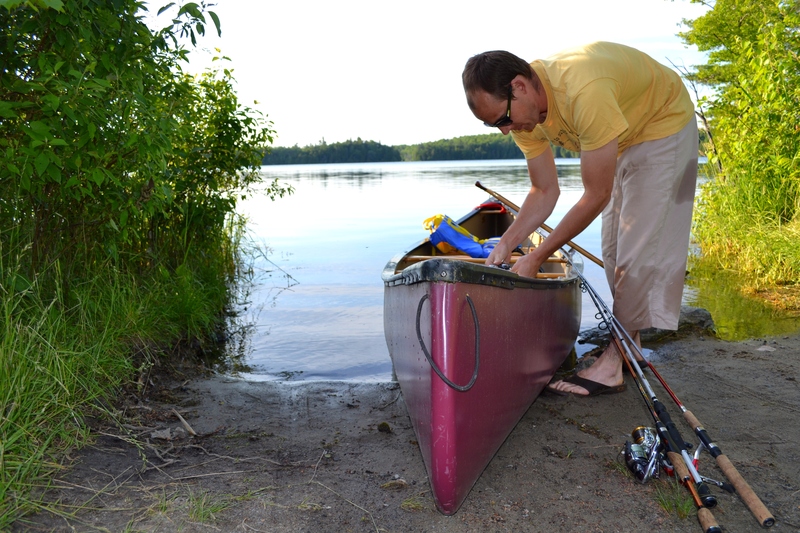 With that snap decision made, off I went to change and grab my gear and a half hour later we were at the launch pushing off in a canoe. The trip was nothing fancy. There were no huge expectations for trophy fish. 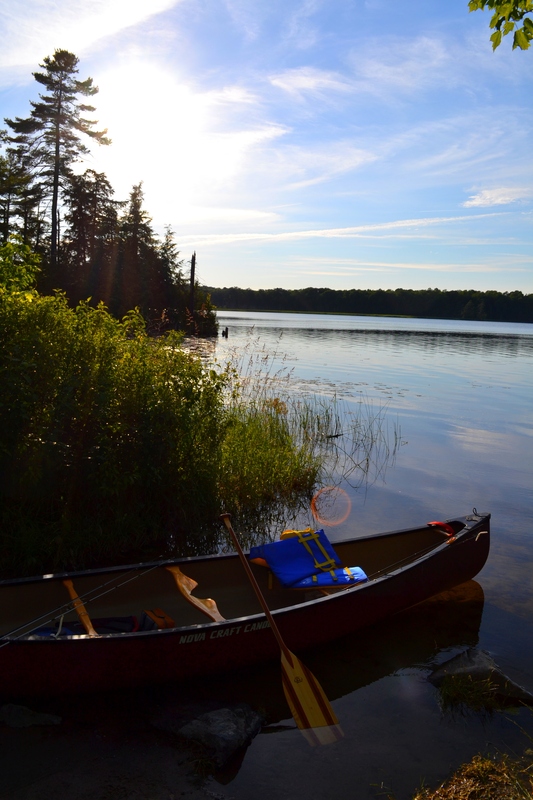 Just two dudes, a canoe and the lake. Part of me wonders at how many world problems would be solved If every person got to experience this feeling on a regular basis. The afternoon was an exceptional one, with warm sunshine and a very slight breeze. Temperatures were fairly warm and the evening was gearing up to be a good one. The first fish (a small Pike) came a few minutes later on the fifth cast of my senko. Nothing big, but definitely fun. 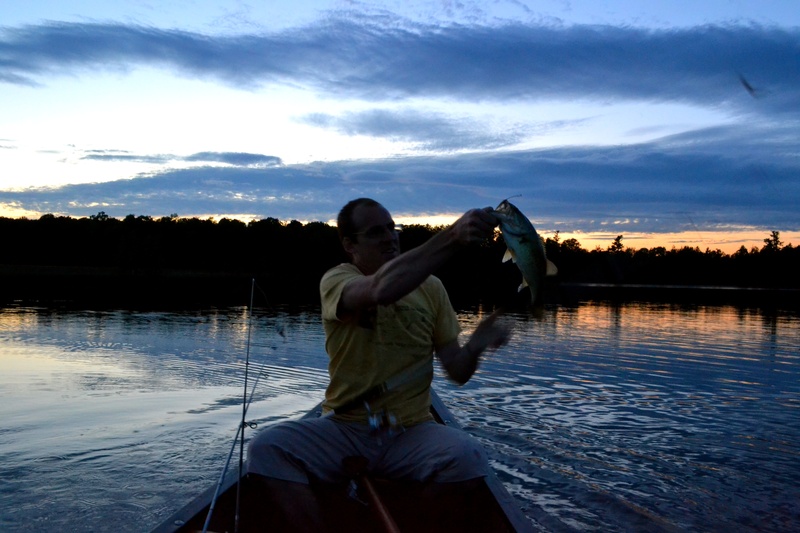 Fishing was nothing exceptional, but certainly decent enough to make the evening enjoyable. 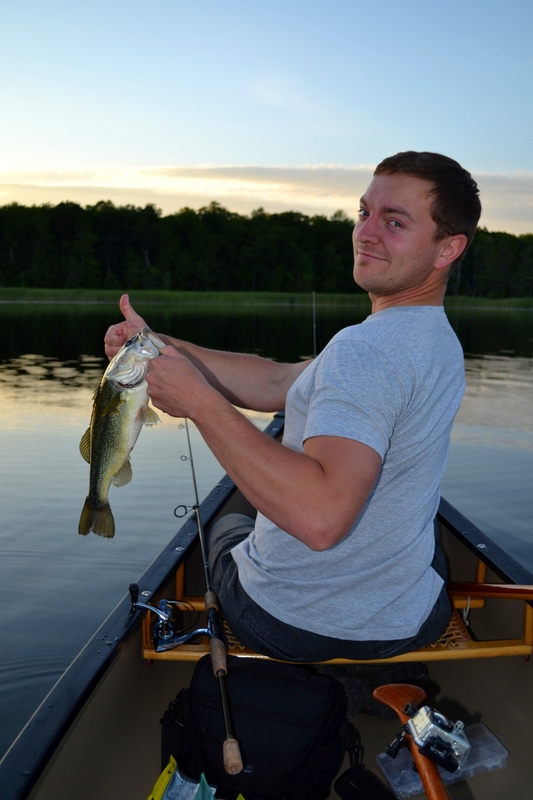 We totalled around 8 bass for the evening, plus a horde of Rockies and that first Pike. 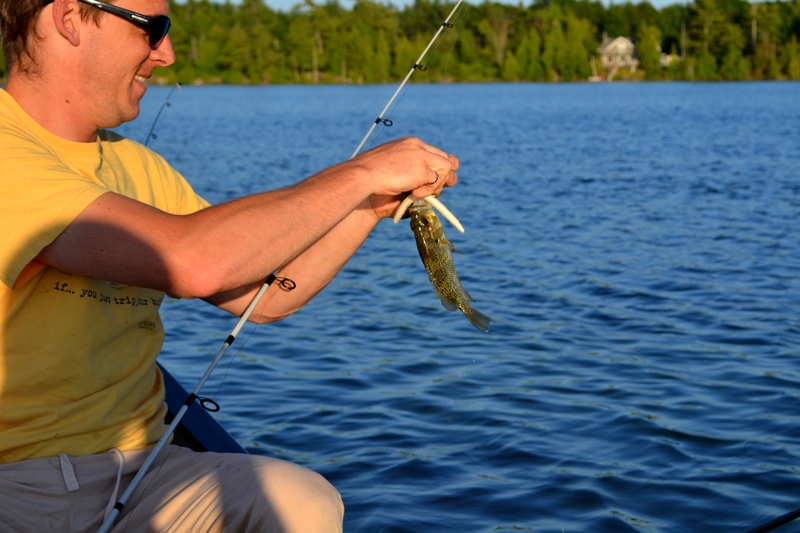 All fish were caught on a variety of plastics, crank baits and jigs in varying depths. The fish were modest, with the biggest being between around 2.5 lbs. 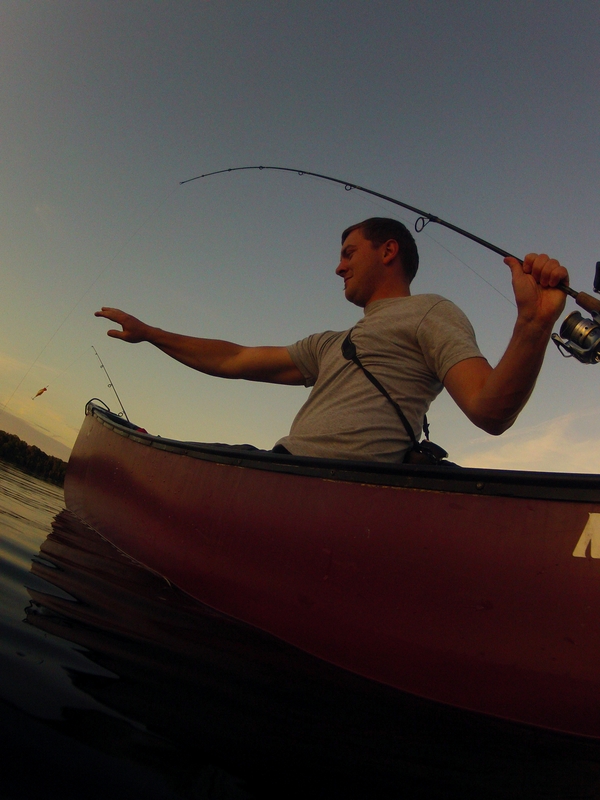 It was interesting fishing as the lake is basically a deep bowl with 20 to 50ft drops right at the edges. Really no weedy flats to fish at all so typical tactics don’t usually apply here. 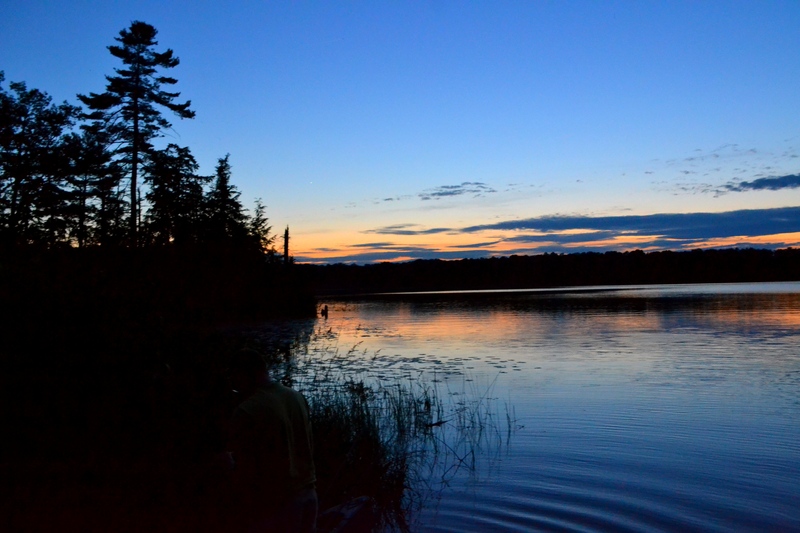 We were sure to take advantage of the beautiful scenery to be had on this quaint little lake. Something Southern Ontario has in abundance. Definitely one of the best ways I can think of to recharge the batteries after a tough week at work. Reminds me of a saying: “All work and no fish make jack a dull boy” … or is it play? … no its definitely fish. 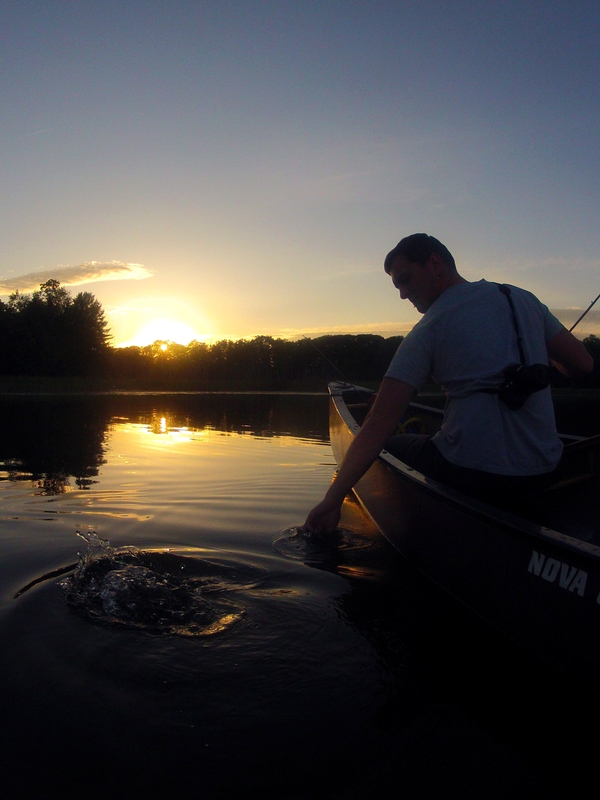 This entry was posted in Canoeing/Portaging, Fishing, Photography, Uncategorized and tagged bass, Canoeing, Fishing, Get Outside, Largemouth bass, Nature, Northern pike, Nova Craft Canoe, Ontario, Outdoors, Recreation, round lake, Southern Ontario. Bookmark the permalink.